Today I am sharing the new Carols of Christmas stamp set that you can now order! 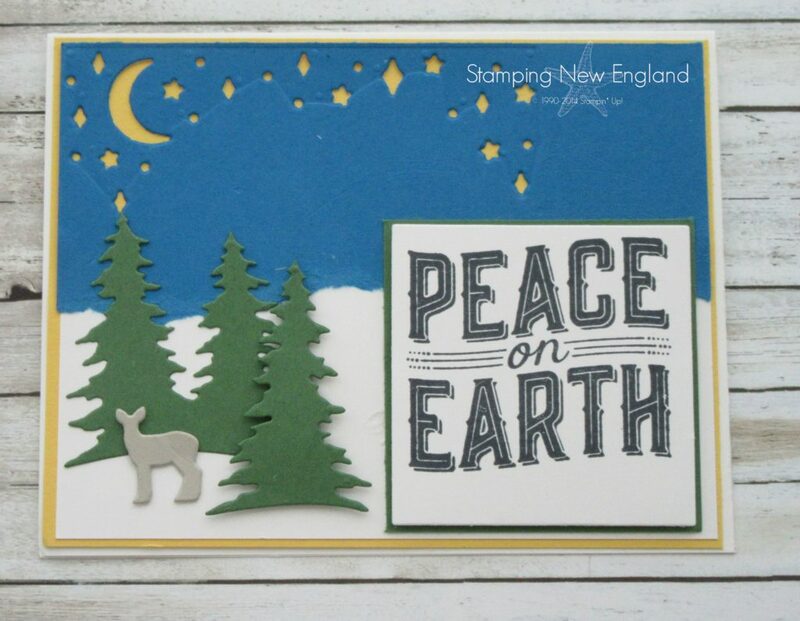 This is one of the new beautiful Holiday stamp sets that will be available in the new Stampin’ Up! Holiday catalog. My Stamping cohort Lisa from the Stamping New England Design team made this beautiful card. Lisa made the snow by tearing a few scraps of Whisper White cardstock and layering them to look like snow drifts. The trees and deer are also cut using the framelits. Here is a short video highlighting some of the things that you can make with the Carols of Christmas stamp set. Ready to place an order? If you are in the US and don’t have a Stampin’ Up! Demonstrator, I would love to be your demonstrator. If your order is under $150, use the hostess code PVD36PFP and I will send you a sampler of the new Be Merry Christmas paper. Of course if your order is over $150, then collect the hostess benefits for yourself. I love to share the host benefits with my loyal customers! Thanks for stopping by Marilyn’s Creative Playground and checking out my project made with the Carols of Christmas stamp set.